The smallest of the Emerald Island Homes, the Grand Lagoon still has plenty of space for two families. One one floor, the Grand Lagoon has one Master Suite (with private en-suite bath) and two other bedrooms plus a family bathroom. 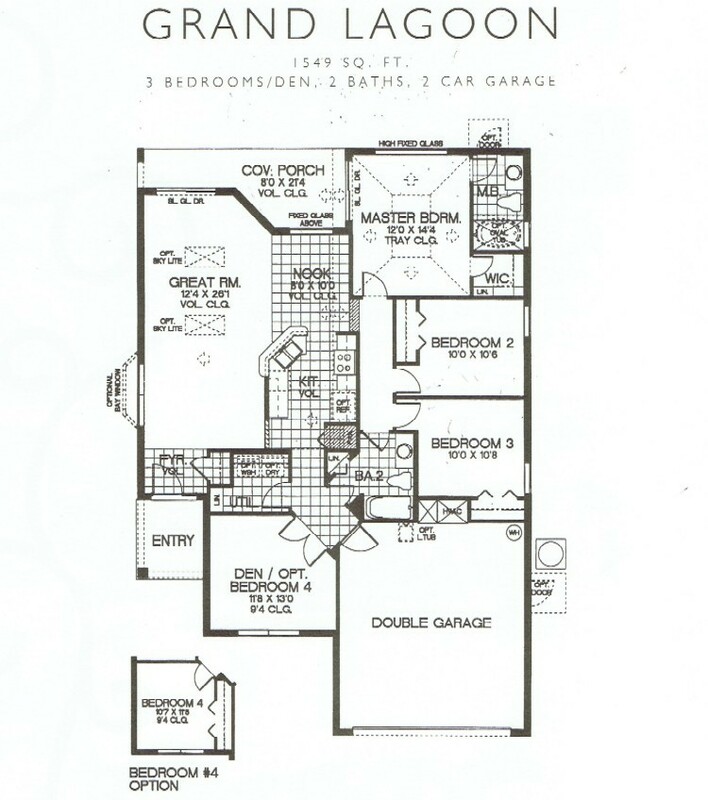 An option for a 4th bedroom in lieu of a den was offered so this room could be 4 bedrooms two bathrooms. A large great room, kitchen and nook provide a wonderful space for family to gather, dine and relax.